Reserve a few sections of clementine peel, for garnish if desired. 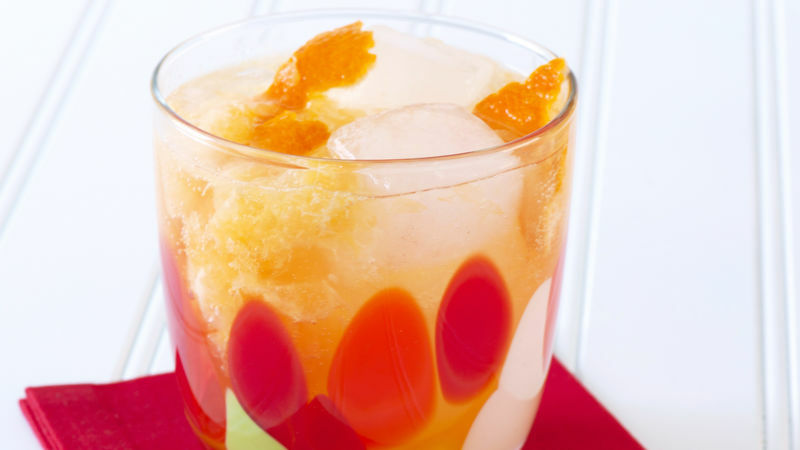 In a cocktail shaker, muddle/smash the clementine segments and sugar. Add the vodka, Cointreau/Triple Sec, and ice to the shaker. Shake briefly but vigorously (about 15 seconds). Pour contents of cocktail shaker into glass, top off with soda. Garnish with a few of the clementine peels if desired. I am a bit obsessed with the tiny crates of Clementines that dominate the produce sections this time of year. Clementines are delicious, the perfect size for snacking, and they peel with ease (particularly compared to an unwieldy orange). The brightly colored crates even look great displayed on a kitchen countertop, which is where my crate of Clementines currently resides. Even though we eat Clementines quickly at my house, it’s not often that we make it through a full crate before they begin to spoil – and it makes me very sad to waste those adorable little things. So I have been on the lookout for ancillary uses for Clementines. It’s a bit tricky. Other than a Clementine marmalade (I am not a jam maker, so this would require the drafting of family reinforcements to complete), I have been stumped. A Clementine vinaigrette salad dressing comes to mind – one could even throw a few peeled segments into the salad for good measure. Clementine ice cream, sherbet or sorbet was also a possibility, but I couldn’t find a recipe I was really excited about. I was, however, pleased to find a promising recipe for a simple cocktail using Clementines, which I modified a bit by adding more Clementine and a soda topper to lighten. The end result, my Clementine Cocktail, is light, fresh and bright, and best of all uses a whole Clementine – bringing me that much closer to successful consumption of my crate!